Welcome to Evergreen West Realty. We are a modern, Canadian owned and operated company. We are licensed for Trading Services (Buying and Selling) and Rental Property Management Services. Our licensees serve clients throughout the Lower Mainland of B.C. We are proud and grateful for the positively minded group of successful licensees in our brokerage. Our licensees are highly trained, committed to professional conduct and providing excellent client service. Whether you are buying or selling, our licensees are skilled to navigate you through the complex process from start to finish. Our expertise will help you to make informed decisions, and ensure an exceptional client experience. As a client you will benefit from the strong support that the licensees receive from our Managing Broker in all facets of residential real estate and several areas of commercial real estate. As a company we are committed to growth and innovation, we offer the latest technologies for the consumer for marketing and viewing properties on our website including property information, maps, street views, birds eye view and walkscore to nearby amenities. We have a strong dedication to community involvement and believe in volunteering and volunteer organizations. Our Managing Broker, Roloff Veld, is a highly respected member of the community. As a selected volunteer he served on the Community Leaders Panel for Translink concerning the rapid transit ‘Evergreen Line’ to the Coquitlam Centre which has now been up and running since December 2016. He is a member of the Tri-Cities Chamber of Commerce and the Canadian Federation of Independent Business. It’s the experience that counts! 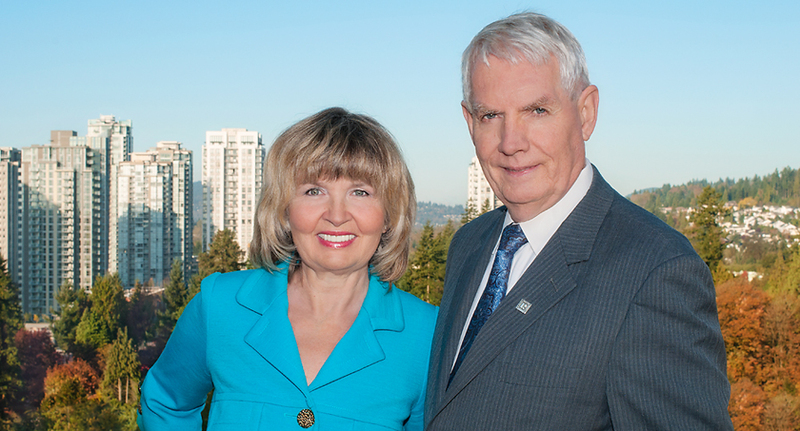 The owners of the brokerage, Roloff Veld and Manya Milkovich, both with excellent reputations, enjoy over 65 years of combined real estate experience in the Lower Mainland of B.C.